Amara Shanks, 10, spends time on social media. Students Use Media Platforms to Explore, Discover, Inform and learn. Little snippets of other people’s lives scroll down the screen as sophomore Kylie Jennings checks her Instagram feed. She grins and feels the excitement of the updates from her favorite show and sees new scholarships to apply for. Social media platforms have become places where youth can explore and discover new aspects of themselves. Adolescents who communicate more online can better clarify their personalities. Teens find like-minded people to befriend and relate to through social media. Access to a greater population and groups with common interests prevents loneliness and increases confidence. English teacher Ms. Lisabeth Bennett believes social media informs students of the world around them. To Ms. Bennett, the importance of students’ ability to withhold more knowledge about the current issues in this day and age serves as a powerful tool to spread awareness. When it comes to the workforce, social media promotes the job skills necessary to begin careers. The ability to act mature and responsible online reflects how well a person can behave in a work environment and helps recruiters choose their candidates. Large movements on platforms like Twitter often affect society. In 2013, the Black Lives Matter movement took off to fight against racism. The movement continues to thrive five years later through platforms like YouTube, Instagram and Facebook with the hashtag #blacklivesmatter. The widespread use of the hashtag led to its label of one of the 12 hashtags that changed the world. Over the years, social media transformed from a place to connect with normal, everyday people to a place where those same people rise to the limelight and become influencers all over the world. Shawn Mendes utilized the popularity of Vine and rose to stardom through six-second videos. When people gain a large following on social media, their popularity could go past the internet and to Hollywood or opportunities to earn money. The challenges of everyday life cause stress in people and social media provides a temporary outlet of reality. 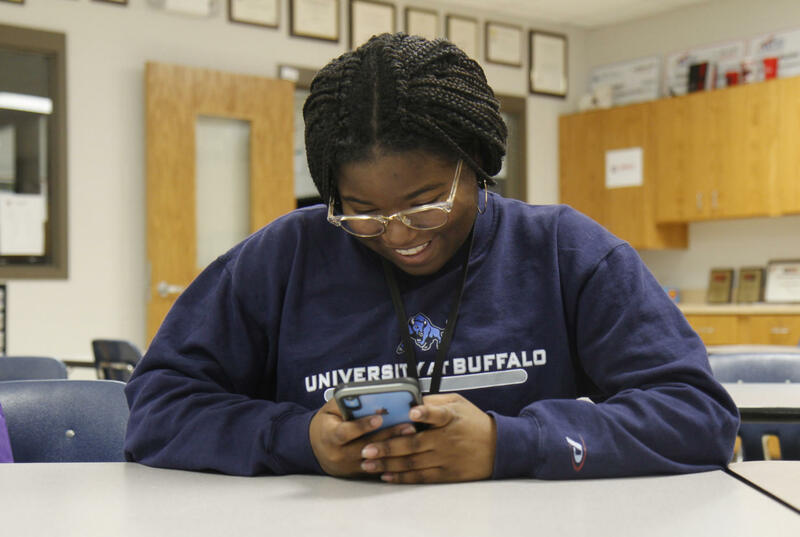 Jennings uses YouTube as an aid for her homework and to keep up with her friends’ lives. She uses math videos to help her improve her abilities in algebra. YouTube also provides Jennings with YouTubers she can relate to and help get her through regular parts of life. The Vine compilations posted there also make her days brighter.